Popularly known for building strength and size through the back and biceps, the seated cable row is a golden oldie. You’d struggle to find a gym that doesn’t have a seated cable row machine! Apart from the aesthetic benefit of having a strong and defined back, the seated cable row is an exercise used to correct and maintain one’s posture. Our modern-day lifestyle that sees us mostly hunched over computers, tablets and phones makes it, otherwise, hard to do so. Is the seated cable row the be all and end all of back and biceps day? Not at all. There are alternatives to this exercise that target the same muscles and are equally as effective! The seated cable row is one of those exercises that has been around for so long, and is tried and tested, that people are unable to look beyond it. Before I go onto some of the great alternatives to the seated cable row, I first want to go over the fundamentals of ‘back and biceps day’. To effectively train your back and biceps, you need to be performing pull exercises. Pull exercises require the muscles to contract through pulling weight towards the body, during the concentric phase of the exercise, then elongate through releasing the weight, during the eccentric phase of the movement. Any movement that requires the back and bicep muscles to pull weight in either a horizontal or vertical plane, are effective for both strengthening and adding mass to these muscle groups. You can read more about pull and push workouts, here. 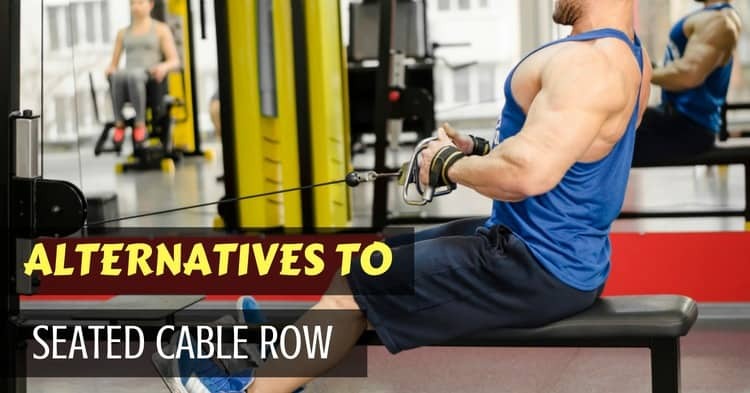 Read on to learn about the different alternatives to the seated cable row and how to do them, below! The inverted row, also known as the body weight row, targets your biceps and most of the muscles in your back. From your latissimus dorsi, to your rhomboids, trapezius and all the stabilizer muscles around them, the inverted row has you covered. This exercise is also great for beginners; it uses your body weight and does not put a lot of added stress on the back. Inverted rows can be done with a racked barbell, T-RX cables or rings. 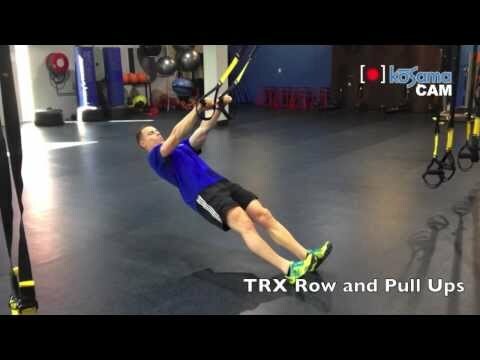 For this article, I will be focussing on the T-RX inverted cable row. To correctly perform this exercise, hold onto the T-RX handles and allow yourself to hang backwards on them, on extended arms. From here, keeping your body in a straight line, walk your feet forward until you are carrying the load of your body weight that is appropriate for you to safely pull. The more vertical your body is, the easier it will be, and the further towards horizontal you move, the more difficult it will be. Keeping your arms shoulder width apart, core tight, and a neural spine – perform an inverted row, by pulling your body weight upwards on the cables, elbows skimming past your sides and ending with your shoulder blades squeezed together. Hold for a second before returning to starting position. Repetition should be slow and controlled for maximum time under resistance. Try 3 seconds up, 3 seconds down for 8 to 10 repetitions. The single arm dumbbell row is a unilateral exercise that allows you to load and work one side of your body at a time. These types of exercises are great for building equal strength and mass through the left and right sides of your body. You can find out more about unilateral exercises, here. This alternative to the seated cable row targets your latissimus dorsi, specifically, but also your rear deltoids, upper and lower trapezius and rhomboids. 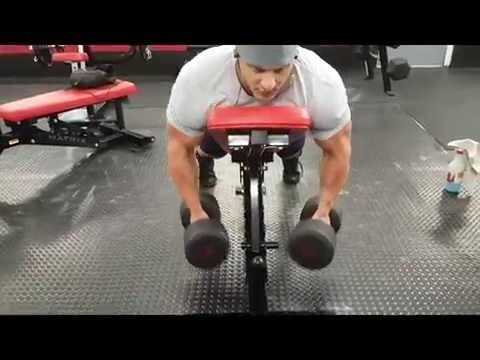 The single arm dumbbell row is a good entry level back exercise that provides stability without the use of a machine. This exercise is done with one dumbbell of an appropriate weight, and a bench for support. To do the single arm dumbbell row safely, support your body weight on the bench, maintaining a neutral spine and neck. It’s a good idea to start with your weaker arm. Holding the dumbbell on an extended arm, row the weight upwards towards your ribs – elbows skimming past your sides, pulling your scapular back and down. Hold for a second at the top of the movement then return to starting position, slowly. Try this exercise for 12 to 15 reps on each side. The Incline Dumbbell Row is as close to a seated cable row as it gets! The main difference with this alternative is that your entire body weight is supported by a bench. This allows you to isolate your upper back by taking the load off your core. Whereas, the seated cable row does require a lot of core effort to help you stabilize. To perform this exercise, you need to lie face down on an elevated/incline bench, holding a dumbbell in each hand beneath the bench. Have your legs straight and your toes resting on the floor. Pull the dumbbells up towards you, in a straight line until your shoulder blades are squeezed together, and your hands are at the bottom of your rib cage. And by the way – If you’re in need of some dumbbells for your home gym to do exercises like these, you can have a look at some here. One of my personal favorites, the T-Bar Row. I find this exercise especially effective as a strength exercise and would happily ditch the machines for this seated cable row alternative. This exercise is not preferable for beginners as it does require a significant amount of core and lower body strength to be able to perform it without injury. Technique should come first when doing this exercise. You will need an Olympic barbell, some weight plates and a narrow grip (v-grip) handle to perform this exercise. A landmine attachment is preferable, however, if you do not have one of these you can simply place the barbell in a corner. Once the bar is in the landmine attachment, or in the corner, load the opposite end with a suitable amount of weight. Hook the handle under the collar of the barbell, hold with two hands and straddle the bar. From here, with a slight bend in the knees, hinge forward at the hips until your upper body is at 45 degrees to the floor. Start with your arms fully extended and then pull the bar towards your chest, maintaining a neutral spine. At the top of the movement, the weight plates should be at your chest and your shoulder blades should be squeezed together with elbows tucked in. Then lower the bar until your arms are fully extended. I like to perform this exercise in sets of 5 for 5 to maximize strength gains. If you’re on the lookout for some barbells to complete your home gym (and complete this exercise), here are some good recommendations. Another popular exercise for serious back mass is the pendlay row. Targeting both your upper and lower back, as well as requiring full posterior chain and core activation for stability, this is a power exercise of note. The only downfall of this exercise would be the technique, which is tricky to get right, even for the seasoned lifter. This exercise is, therefore, not suitable for beginners. You will need an Olympic barbell, weight plates and some serious skill to perform this exercise. It’s important to note that this lift needs to be done on appropriate flooring. Each repetition starts with the barbell as a dead weight on the ground. Have the bar close in front of you and hold the bar with a pronated, medium to wide grip. Your knees should be partially bent, and your hips hinged so that your torso is parallel to the ground. Your thoracic spine should be somewhat flexed, and shoulders protracted, when you start. Keep your head and neck in a neutral position. Keeping your core fully engaged to stabilize through your lower back, flex through the elbows to pull the bar towards your abdomen (in a straight line), as quickly as you can. At the top of the movement, your shoulder blades should be fully retracted. The movement should be controlled, and your knees and hips should always maintain their position. 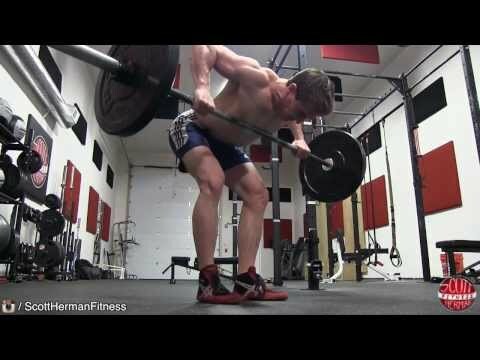 It’s important to ensure that you return the weight to a dead weight on the floor between each rep. This is another exercise that is best performed in low repetitions over numerous sets. It would be worth getting coached through this lift! Back and biceps day has got to be one of my favorite training days! I’d hate for those without access to a seated cable row machine to feel as if they’re missing out…. Because frankly, they’re not! 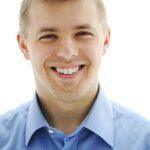 I hope you enjoyed this article and are looking forward to trying out some of these alternatives. Remember, a weak back can create multiple (painful) issues, so back strength and mobility should always be sought after. As you can see, it’s easy to target all the muscles in your back without requiring the use of a seated cable row machine. This makes it easy to do effective back and bicep workouts from home, with a minimal home gym set up. Know another great seated cable row alternative? Share it with everyone in the comments section below!